Every November, thanks to the efforts of hundreds of network experts volunteering their time, the SC conference becomes one of the best-connected sites on the planet – for about a week. The volunteers design, build and maintain the conference network known as SCinet, which provides both wired and wireless connectivity through the convention centers, but also high-speed connections to research networks around the world. When SC18 convenes Nov. 11 in Dallas, the SCinet team will have spent the previous year preparing for the event. And when the conference closes on Nov. 16, the volunteers will dismantle it in a day or two. The following Berkeley Lab staff from ESnet, NERSC and the IT Division are lending their expertise to this year’s SCinet. 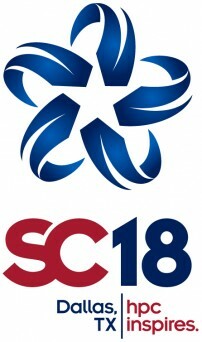 Jason Zurawski of the Science Engagement Team is the SC18 SCinet Chair, responsible for the team of more than 150 volunteers who design, install and operate the SCinet network to support the SC18 conference. Zach Harlan of the Network Engineering Group is supporting the SC18 SCinet Routing team and the Network Research Exhibition. He will be responsible for the installation and "care and feeding" of equipment to support the five 100 Gbps wide area network circuits ESnet is providing to support scientific demonstrations at SC18. Michael Blodgett of the Network Engineering Group is a member of the SCinet WAN Transport team and will be working with Harlan on the five 100 Gbps circuits being delivered by ESnet. Nick Buraglio of the Network Planning Group is part of SCinet's Experimental Networks team and the SCinet Team Lead for the FAUCET project at SC18. Eric Pouyoul, Advanced Network Technologies Group, and Eli Dart, Science Engagement Team, are members of the Experimental Networks' Data Transfer Node team, supporting multiple demonstrations involving DOE projects, sites and users during SC18. ESnet retiree Brian Tierney is also a member of the Experimental Networks Team. Scott Richmond of the Software Engineering Group is the SCinet Interconnect Lead, managing the massive SCinet database that organizes and directs the thousands of ports and connections in the SCinet network. Michael Dopheide of the Cybersecurity Group is a member of the SCinet Network Security Team. Kate Petersen Mace of the Science Engagement Team is the lead for the SC18 Women in IT Networking at SC (WINS) Program, as well as the SCinet Physical Security Vice Chair and member of the SC18 Security team. Lauren Rotman, the Science Engagement Team Lead, is leading the organization and orchestration of the SC18 Keynote speaker presentation. Jason Lee of NERSC's Networking and Security Group is the SCinet Vice Chair. Tavia Stone Gibbins of NERSC's Networking and Security Group is a member of the Logistics/Equipment Team. Anna Giannakou of the Integrated Data Framework group is a member of the SC18 SCinet X-net team. You-Wei Cheah of the Usable Software Systems group is a member of the SC18 SCinet Dev/Ops team. Soledad Toledano of the IT Division's computer security team is on the SCinet Network Security Team. At SC17, Toledano was chosen to participate in the Women in IT Networking at SC (WINS) program, created in 2015 to further expand the diversity of the SCinet volunteer staff and provide professional development opportunities to highly qualified women in the field of networking.